Stop by McPhillips Toyota’s Parts Department to receive professional parts advice and ensure you benefit from improved performance and endurance from your vehicle. 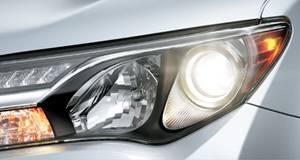 We have a full stock of Toyota OEM parts for all models of Toyota vehicles. When you purchase Original Equipment Manufacturer, or OEM replacement parts, you receive the same parts that you vehicle would be equipped with from the factory. This ensures that your external OEM Toyota parts/accessories will match the finish of your vehicle, and that all of your Toyota’s auto parts will fit and function properly. Our Toyota parts store carries a full range of engine parts, body parts and accessories for all models including Toyota Corolla and Tundra parts and accessories. Our Parts Advisors will give you speedy and accurate recommendations to help care for your car. If you already know the part your vehicle requires or would like to request more information, you can easily order your Toyota parts online. It’s a convenient way to find out the information you need without taking time out of your busy day. 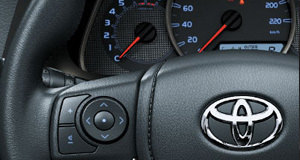 Don’t forget to check out our Parts Promotions and benefit from additional saving on all of our genuine Toyota parts. We provide great prices on parts for Winnipeg, Selkirk/Dryden, Interlake, Headingly/Perimeter and East St. Paul. If you’re looking for a custom or performance edge for your new Toyota vehicle, check out our genuine Toyota TRD Performance parts and accessories that can be included with your new vehicle purchase at McPhillips Toyota. 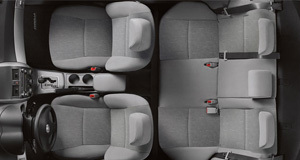 Contact the McPhillips Toyota Parts department or call 1-877-524-2918 for more information. At McPhillips Toyota we have the best selection of tires for Toyotas in Winnipeg. Select from top-name tire brands including Goodyear, Michelin, Bridgestone, BFGoodrich and more for all new Toyota models. We have great tires for on- or off-road performance for RAV4, 4Runner, FJ cruiser, Highlander, and more. We also carry light truck tires for the Toyota Tundra and Tacoma. Choose from a variety of winter snow tires, summer tires & all weather tires for your vehicle. Proper tires can actually improve your vehicle’s performance, fuel economy and handling on the road, and we can help you find tires for all Toyota car models including the Corolla, Matrix, Prius, Camry, and more. Order your parts online, or contact us to learn more about our tire selection.